Ageing is a natural, gradual process that happens to us all. 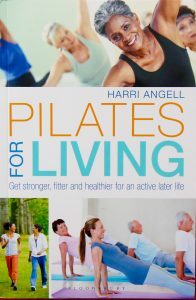 Pilates for Living will show you how to build a foundation for your future life. 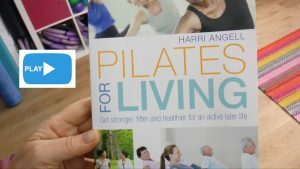 Whatever your age, Mat Pilates will improve your strength, coordination, mobility, flexibility, breathing, balance, concentration and general well being. Your posture will improve as well. This will not only prevent aches and pains but also lift your spirits as you learn to stand up straighter, lengthen through the spine and embrace, head-on, those advancing years. To my mind, there is absolutely no point in dwelling on the negative aspect of the ageing process. We all know what happens to us both mentally and physically as we grow older, but we don’t necessarily know how to challenge those inevitable changes. At the risk of stating the obvious, ageing happens to us all and there’s nothing we can do to stop it. But we can slow it down. And whether you’ve just hit your forties or are heading for seventy plus, you can make those years healthy, happy and fulfilling ones. To have a look inside the book, just click the Amazon logo on the left!